GORGEOUS TOWN HOME IS 3 MINUTE WALK TO COMMUNITY POOL! This townhouse has been used only as a vacation spot for the sellers, so barely lived in! New carpet was installed several years ago and it still smells like brand new carpet! This home is truly move in ready! Nice and large front covered patio has plenty of room for visiting with neighbors. As you enter in there is nice foyer entry with a light an open space that offers up plenty of room for entertaining guests! This home also features a DOWNSTAIRS master bedroom which is in the back of the house, rarely do you find bottom floor master bedrooms so this is a real gem! Upstairs are 3 additional bedrooms, the laundry room with WASHER and DRYER included. one of the bedrooms upstairs can be made into a second master bedroom as it has direct access to the bathroom. 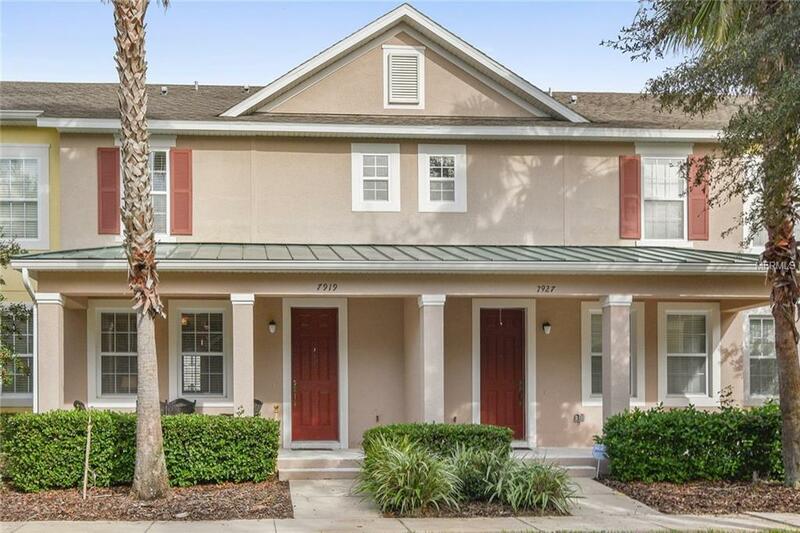 This townhome also has a rear entry garage and plenty of space for parking multiple cars. This highly sought out community is at the heart of Lake Nona, just minutes to the 417, 528, Orlando, Medical City, and a short trip to Kennedy Space Center, I-95, and the beaches Waters Edge community offers access to beautiful Lake Nona that includes a boat ramp and dock, Nature Trails and a Dog Park, Pool, Clubhouse, Basketball Court, Tennis Court, playground, BBQ area, . HOA includes YMCA household membership and lawn maintenance.